Hi everyone! My name is April Swiger and I’m an author, blogger, wife, mom, and homemaker. I published my first eBook in the Amazon Kindle store this month titled Dignity and Worth: Seeing the Image of God in Foster Adoption. After I launched my book on June 5th, it quickly reached #1 in its categories, making it a #1 Bestseller on Amazon! I was blown away by the response. I’m really excited to walk you through the story of how I was able to accomplish this goal in such a short time, during a very busy season of life. I never imagined I would accomplish my goal of writing a book this early in life. I’m 34 years old, a busy wife, stay-at-home mom, and homemaker. My days are full of taking care of my two boys (4 years, and 9 months) who we’re in the process of adopting from foster care. I also spend time each day cooking, caring for our home, and spending quality time with my husband. Life is full! For many years I’ve wanted to make an income from home by running my own business. 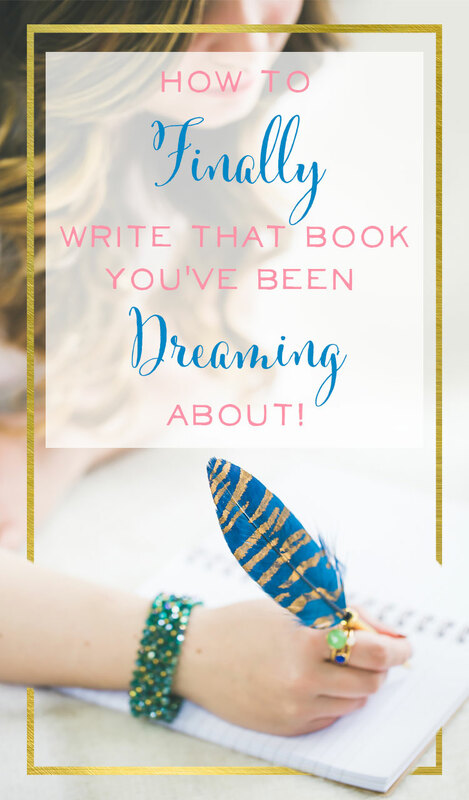 My dream of writing a book is fairly new and is a piece of what I hope to be a thriving home-based business for our family. I’ve been hobby-blogging for six years and have always struggled to believe that it’s possible to make money through writing. My confidence has struggled as I’ve fallen into the comparison trap over and over again wondering what I could possibly add to the very saturated blog and eBook world. I spent time this past January reading a few helpful business books like Money Making Mom by Crystal Paine and Start by Jon Acuff. These two successful writers/entrepreneurs gave me the confidence I needed to step out and share the message I have with the world. My voice, and my message, is unique. I'm the only one who can share my story. Once that truth was cemented in my mind and heart, I was revved-up to start writing and get publishing! Once I decided that writing an eBook was my goal for 2016, I enrolled in an online course through Self-Publishing School. This course gave me the exact blueprint I needed to go from idea to bestselling book on Amazon in 90 days. I could not have reached my goal without this course and I highly recommend it for anyone who wants to self-publish a book! The course was an investment, but one worth making. My husband and I recently celebrated becoming completely debt-free, so we knew this investment was doable and would be helpful to get my business off the ground. I knew what my priorities were as I embarked on this self-publishing adventure, and I was committed to making sure the most important things in my life were kept at the top. These things include my relationship with God and spending time reading my Bible every morning, my relationship with my husband and having a weekly date-night at home after our boys were in bed, and my two young sons who have many needs throughout the day. During my book writing season I allowed other less important tasks slide like cleaning our home regularly (I spot-cleaned as needed but didn’t keep to a schedule), cooking simple meals instead of elaborate new recipes, as well as saying “no” to things like playdates and extra serving opportunities that I knew I wouldn’t have time for. In addition to that, our family ended up moving right in the middle of my book-writing season! Since I already had my priorities in place, and I had grown accustomed to saying “no” to certain things, it was a seamless transition (although very busy) to add packing to my already full schedule. I’m glad to say we all made it out alive and are happily settled in our new home. Book writing took a back seat for a week or so during the actual move, but without a clear list of priorities, or realistic goals (as I’ll explain below), I would have struggled a lot more to accomplish my dream. I committed to write and publish a book in the Amazon Kindle store within a 90 day timeframe (it ended up being about five months because of our move, which I’m very ok with). Time management has never been my strong-suit, so I knew I needed to get my act together if I was going to see results. I began by setting small realistic goals. These were goals I knew I could meet without compromising my most important priorities. These goals also allowed me to make my book one of those main priorities. There was no way I could have finished my book without getting up before my family. It was hard, I won’t sugar-coat it. “Early” is going to look different for every person, and for me, it was typically between 6-6:30AM. After about a week though, getting up early became my new normal and I began looking forward to the quiet 60-90 minutes I had to myself before the rest of the house began waking up. I would get up, make my coffee, spend time reading my Bible, and then begin writing. I personally committed to writing an hour a day, five times a week. I didn’t typically write on Sunday’s, and there was usually one other day that I wasn’t able to get up early and write. I knew that I needed to get my hour in those five other days or I would never finish my book. I have never been good with setting tangible goals like this one. I learned that this particular goal was one of the biggest reasons I saw success with finishing my book. Do what works best for you and your personal schedule, but don’t neglect to set a goal. I originally set to publish in 90 days from the time I started writing. That didn’t happen because of our move, but I’m ok with it! I also knew that being a tired and busy mom could easily slow me down too. Some days I just didn’t have the energy to write another sentence. I officially published my book on June 5th, only 46 days past my original goal. Not too shabby! Without a goal in mind (even if I didn't meet it exactly), it would have been difficult to finish the project I began. I recently wrote out my top six goals for the busy mom who wants to write a book. I go into more detail at that post about the writing and brainstorming process I went through. This season of writing, publishing, goal setting, and learning how to manage motherhood and business, allowed me to grow in self-discipline and personal motivation. I learned how to work harder and smarter than I ever have before. My days became intentional as I kept my eye on the goal, and my relationships with those most important to me were kept at the top (although done imperfectly, of course). I committed to my goal and chose to believe that it was going to happen when I could have easily slipped back into the lies that my message isn’t valuable to the world. It was a hard season, but one that I have found a lot of fulfillment in, as well as growth as a follower of Christ, wife, mom, and writer. April Swiger is a wife, mother to two awesome little boys, homemaker, and blogger. In 2013, her family moved to her home state of Connecticut, where her husband, Adam, serves as the worship pastor at Christ the Redeemer Church. Living in a 100-year-old farmhouse, being debt-free, cooking nourishing food, and enjoying introvert-friendly activities are some of her favorite things. You can join her for more “Faithfulness in the Mundane” at www.aprilswiger.com and Instagram.com/aprilswiger/, or check out her new bestselling book on Amazon Dignity and Worth: Seeing the Image of God in Foster Adoption.